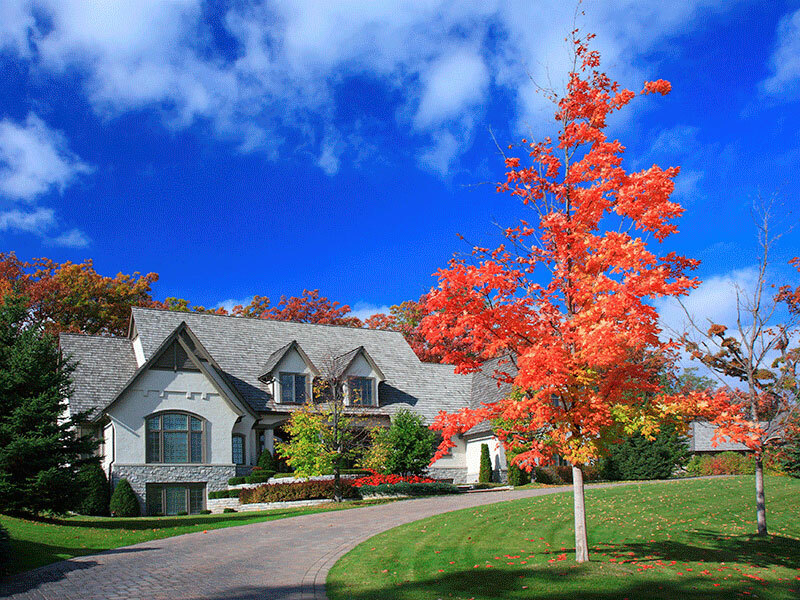 The fall is the ideal time for homeowners to run a maintenance check before the cold winter months return. Just like we take our cars in for a tune up to get ready for winter driving, our homes need to be ready for the harsh weather conditions as well. Most homeowners remember to service home items such as their furnace, as the last thing you want on a cold winter day is to come back to a home with no heating. In addition to that, a semi-annual roof inspection should be included on that maintenance list to avoid any unpleasant surprises in the upcoming months. Here is a quick checklist that we recommend every homeowner to go through in order to ensure that your home is ready for the winter. 1. Gutters: As we mentioned in the previous articles, gutters are extremely important parts of your home. Blocked gutters can cause leaks and lead to a series of other issues. When your gutters are clogged with leaves and debris from the fall months, the water can’t channel through the downpipes and away from the house. This can cause severe structural damage to the roof and the walls of your home. A gutter clean up before the rainy and now winter months can save you from a lot of trouble in the winter months. 2. Shingles: A shingle inspection will help reveal whether there are any loose, warped or broken shingles from the windy fall months. Quite often, fallen branches from nearby trees can cause damage on your roof. With a quick checkup and simple repairs, you will avoid costly issues down the road. 3. Vents: Cracked material and critters can inflict damage to the vented areas of your roof. Simply resealing these areas will save you a lot of trouble that can occur from vent problems while keeping animals and water out. 4. Flashings: An inspection of the chimney will reveal any issues relating to flashing, siding and the cap that can contribute to leaks. It is important to ensure that these areas are properly sealed and flashed. If your home has a skylight, water can easily get trapped behind the flashing and create leaks. 5. Attic: While the roof is critical to the overall well-being of your home, often times it is the attic that is the source of a problem. Improper ventilation, plumbing and A/C issues and bug infestation can cause significant mould and algae in the attic area. Make sure that you conduct a thorough inspection of the attic in order to avoid these potential issues. As with every other home improvement and restoration project, it is vital that the checkups and repairs are done properly. Otherwise it can cause more harm than good and cost you more money to get everything fixed. If you are not sure about how to conduct these inspections, always ask for professional help and leave it to a specialist to fix any issues. After all, your home is your biggest investment and it is important to treat it as such.